One of your friends is doing a survey to find out if people prefer coffee rather than tea. They tell you that exactly 75% of the people they surveyed prefer coffee, what is the smallest size sample of people that could have been questioned? The answer, of course, is four. If three out of four people prefer coffee that’s 75%. There are lots of other possible answers that result in 75%, for instance fifteen people out of twenty, plus of course seventy-five people out of a hundred (and even 750,000 out of a million). All of these answers have the ratio of 0.75, but 3/4 is the simplest ratio. Hold that thought, we’ll come back to it shortly, but first let’s take a little detour into the world of exact percentages. 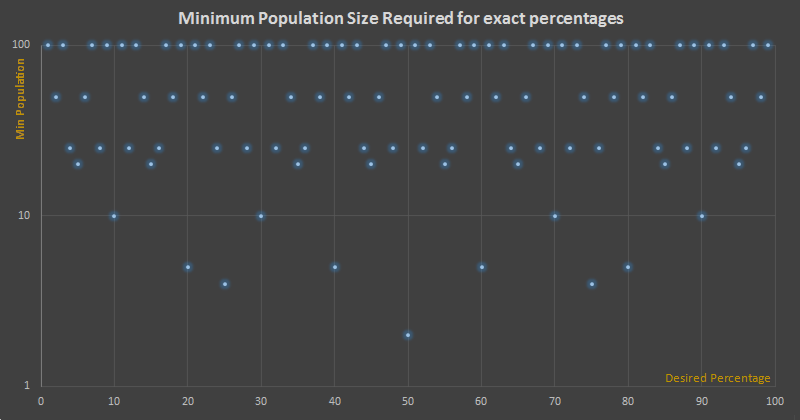 If we look at all the exact (integer) percentages from 1%-100%, what is the minimum number of people needed to be able to define each ratio? To get 1%, obviously, we need a denominator of 100, so to get exactly 1% the smallest sample size would be 100 people. To get 50% we need just two people, and to get 75% (and also 25%) we’d need four people. 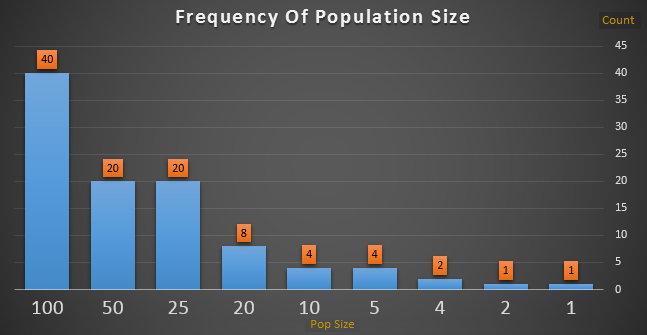 Below is a graph showing the distribution of the smallest audience size needed to get an integer percentage. (I’ve used a log scale here as it makes things look a little prettier). It’s a very pretty pattern, and as you can see is symmetrical around the mid-point. (A little imagination shows why this should be the case … if you have trouble with this, think back to the 25% and 75% examples that need a denominator of four and work from there). The table below shows a histogram of the distribution of the sample sizes. 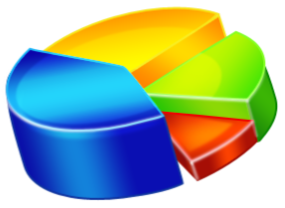 Forty percentages require a denominator of 100 people to get an exact percentage, for instance 67%. This is because 67/100, as a fraction, cannot be simplified. What this puzzle reduces down to is the simplification of fractions. 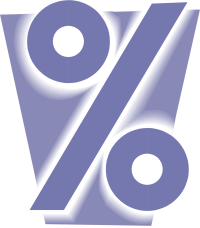 A percentage is ratio of two terms. Mathematically, to simplify a fraction as much as possible we need to divide the top and bottom by the Greatest Common Divisor (also known as the Greatest Common Factor). It is the largest possible integer that divides both numbers without any remainder. 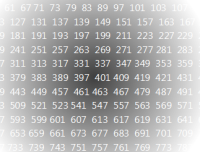 All positive numbers (greater than one if you want to be mathematically pedantic), are either a prime number or can be written as a product of two or more prime numbers.  The prime factors in common are: 2 × 3 × 3 × 7 = 126, so we can divide both sides by 126 and be confident there will be no remainder. We've simplified the fraction as much as we can! When numbers have no common factors (other than, trvially, one!) that are described as being relatively prime. Ratios of relatively prime numbers cannot be simplified. Looping back to our exact percentage opening puzzle, all the percentages that require a minimum population size of a hundred people are audiences that are relatively prime to 100. Here's another little interesting thing, which is obvious now that you know about relative primes, but if you have a grid where the number of units in each dimension are relatively prime to each other, then a diagonal line drawn between opposite corners will not pass through any other point!